Dr. Nuntida Kathy Sangprasit (also known as "Dr. Kathy") completed her undergraduate studies in Molecular, Cell, and Developmental Biology at the University of California in Los Angeles, and received her doctorate degree in Optometry from Southern California College of Optometry in 2007. Her clinical experience includes serving patients at VA Medical Center in West Los Angeles, CA, VA Medical Center in Honolulu, HI, and VA Medical Center in Amarillo, TX. At these facilities she gained extensive experience in the treatment and management of ocular diseases such as glaucoma and cataracts. In addition to primary eye care services, she provides contact lens fittings (including soft contact lenses, rigid gas permeable lenses, and overnight orthokeratology), treatment and management of eye diseases, infections, and eye injuries. She is certified in the state of California in the management and treatment of glaucoma. Dr. Kathy provides co-management for LASIK and post operative cataract patients. She has worked at EYE ZONE OPTOMETRY in Torrance since 2007 as an associate optometrist, and took over ownership of the practice in 2012. Dr. Kathy is a member of the American Optometric Association, California Optometric Association, and South Bay Optometric Society. Our optometrist performs comprehensive adult and pediatric eye examinations, contact lens fittings, orthokeratology consultation and fittings, LASIK/cataract consultations and co-management. Dr. Kathy does welcome Walk-in eye related emergencies, as she has extensive training to manage and treat emergency cases such as red eyes and trauma. We carry thousands of frames including the latest styles for Coach, Ray-Ban, Gucci, Versace, Burberry, Polo, Tura, Silhouette, Rudy Project, Adidas, Penguin, Caviar/Cazal and many more. 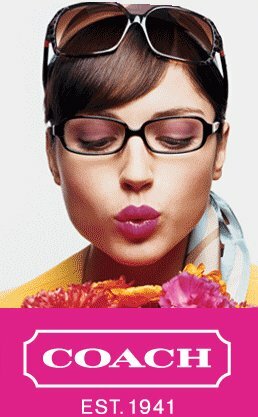 Please stop by our optical to see what we have to offer. We accept Cash, Personal Checks, MasterCard, Visa, Discover, Apple Pay and CareCredit. Payment of exam co-pays and fees for other services rendered are expected on same day of service.